Hi, after a very-very long time with no post had been made, today I will give a contribution of my upload. This car should be finished in very long time ago, and because of lack of time I can't finished immediately. And I just done with it. I feel shameful if I can't finish the car and give the contribution to here. Interior: High quality interior design. Recolors: comewith 4 colors for your varities. Woohoo fog: Included, so your sims can woohoo in this car as they like. Mirrors: Real reflection mirrors add realism to this car. Lights and Audio: All lights and audio place in correct positions. 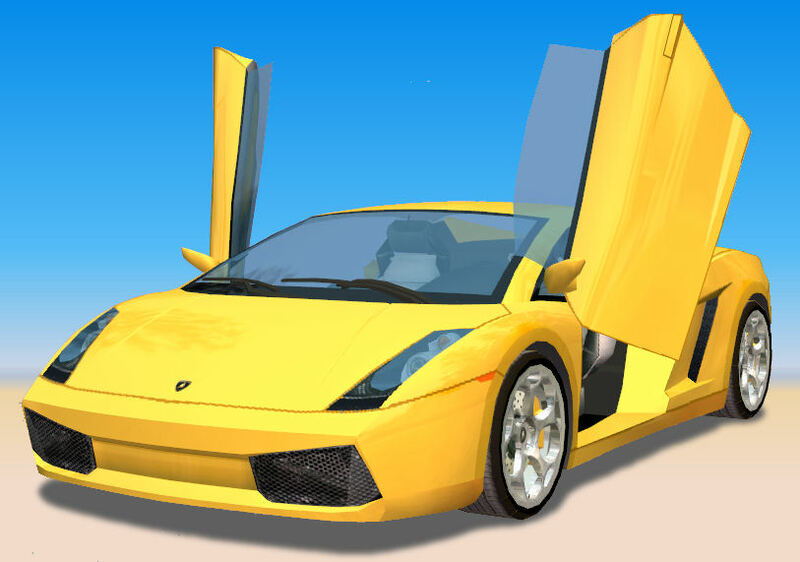 Animations: New animations for the doors open and close as shown on pics from child to elder was made to make your sims very happy with this supersport car. Thumbnail: The thumbnail preview had been remade to fit the catalog preview. Shadows: Full working in-game shadow but no shadow in thumbnail preview. Neighborhood: The car viewable from neighnorhood and from a nearby lot. You may recolor the car as you like and put it in wherever you like, but never with the base mesh. Would be appreciated if you could give a link to this thread. If you wish to use the animations to your new car, just clone the car or give the animations link to this car animations (hope you know how to do that). Anyway, once you clone the animations, just never put your car to a pay websites or as a donation set including TSR website. I don't want part of my works being used by someone else to get paid. To edit the animations via SimPE were really hideous and very fuzzy. Put your new car in free websites only and give a link to this thread as a credit. This is may be the last upload of my files here, I am no longer being able to upload any files to any websites anymore. This is may be my last modding. I don't have much time to do the modding while my life getting busier and busier. For anybody have questions or need help about this car just give a comment to this thread, might be someone could help you. Just don't PM me, I can't answer you immediately, because I may just visit MTS2 once in a while. These recolours may or may not be endorsed by cevic.